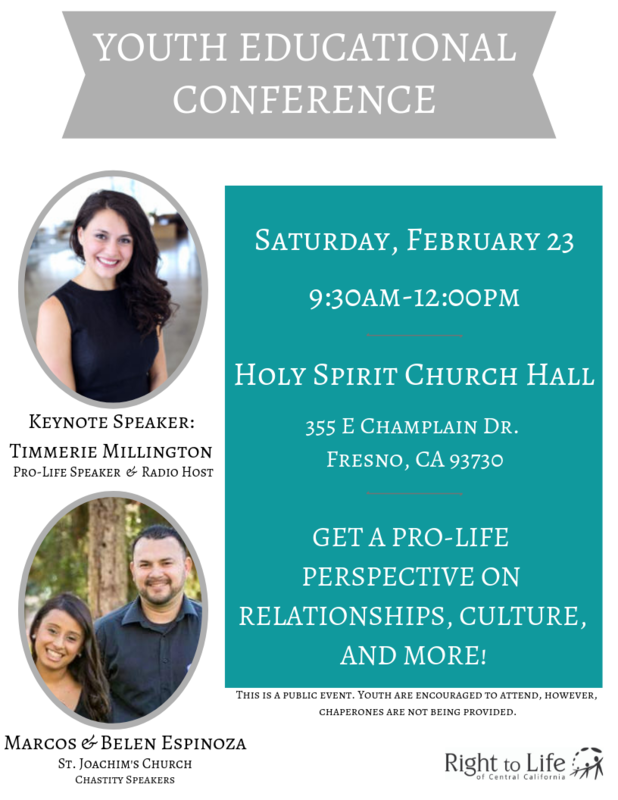 We will be hosting an educational youth conference with radio show host and pro-life speaker Timmerie Millington, as well as two other pro-life local speakers. Please join us February 23rd. Any of our supporters from these areas: Please call your state..
Our Director, John Gerardi just wrote an op-ed in the Fresno.. Please pray for a young girl that spoke to some of our 40 Days.. Copyright © Right to Life of Central California. All rights reserved.